In 2008 the National Arts Index fell 4.2 points to a score of 98.4, reveals Americans for the Arts, a national nonprofit arts group. This means, among other things, that charitable giving and attendance at larger cultural institutions have declined, even as the number of artists and arts-related businesses grew. Other findings from the index tell us that nonprofit arts organizations expanded from 73,000 to 104,000 between 1998 and 2008, but a third of them failed to balance their budgets. Also, demand for the arts has been mixed. Although millions of Americans attended concerts, plays, and museum exhibitions last year, the overall percentage of those who participate in such activities, compared to the total population, is decreasing. The good news is that those who create art, whether that’s making music, taking photographs, or drawing, is up. The demand for arts education is also strong. 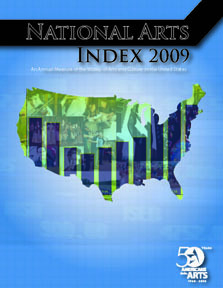 Those involved in the National Arts Index herald its usefulness in shaping the future of the arts in the United States. “As with key business measures like the Dow or the GDP, we now have a way to measure the health of the arts in America,” said Albert Chao, a member of the Business Committee for the Arts, a business leadership program of Americans for the Arts. To that end, the Kresge Foundation has awarded a $1.2 million grant to Americans for the Arts to support that vision. Read more about the index on the PR Newswire. The Americans for the Arts website has more detailed information, as well as PDF downloads of a detailed summary and the full report. There is also discussion and opinions on the organization’s blog.